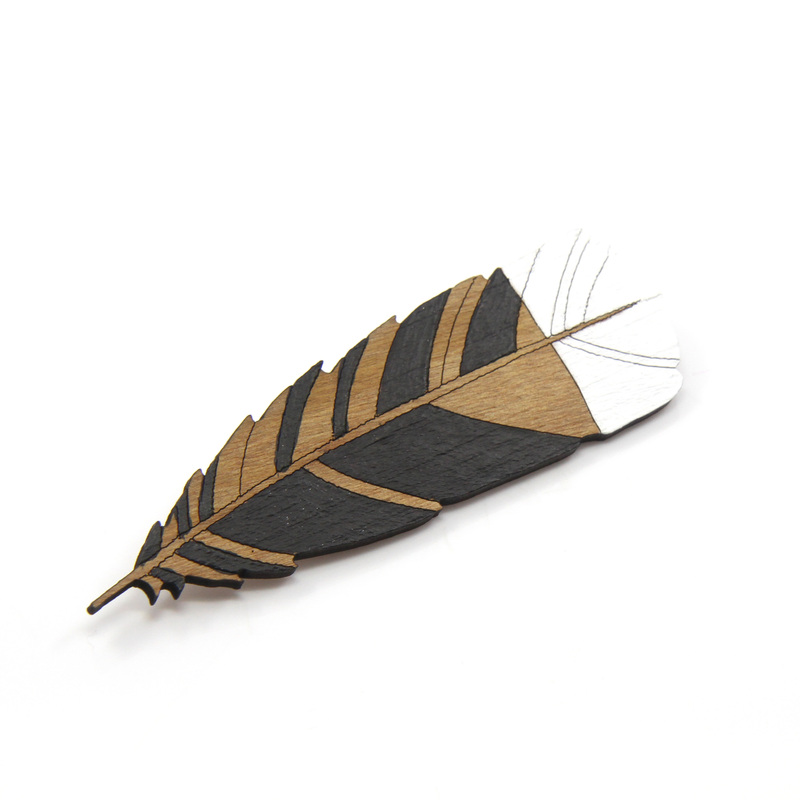 This gorgeous Huia feather brooch is made from recycled Rimu and is hand-painted. It is lightweight and features an antique style clasp on the back for easy attachment to your clothing. It has also been sealed with varnish to help protect it. The Huia is an extinct species of bird once native to Aotearoa, New Zealand. The last confirmed sighting of the bird was in 1907. Known for its distinct bill shape and sheer beauty, it was regarded by Maori as tapu (sacred) and the wearing of the feathers was reserved for people of high status.